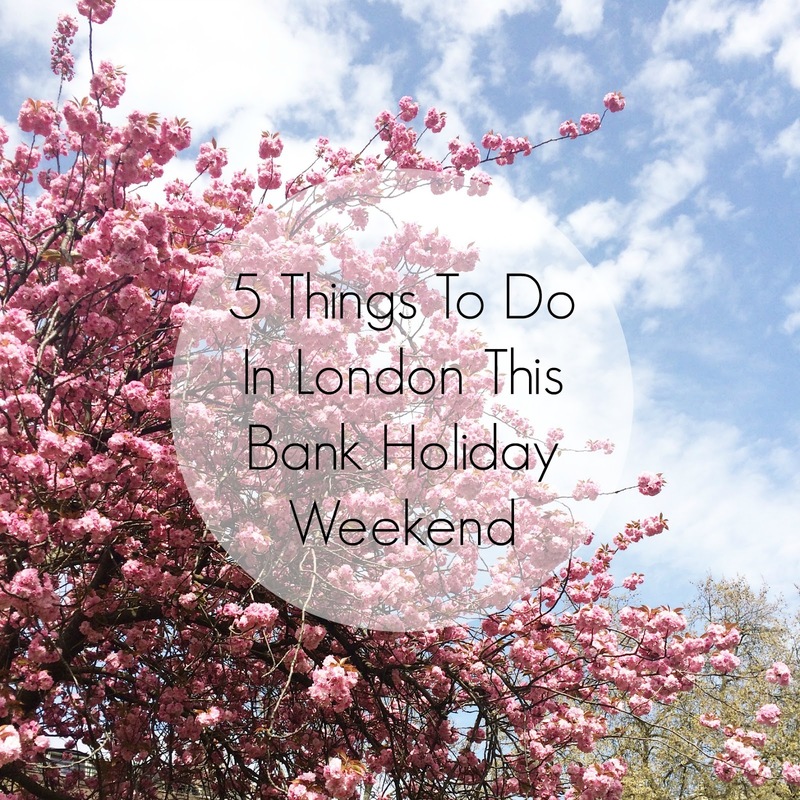 During the bank holiday weekends I always like to try and make the most of my time off from work and living in London means there's always something new to do! I've put together a list of ideas to make the most of the 3 day weekend. One of my favourite things to do in London is finding new cocktail and rooftop bars to visit. There are so many popping up every week, especially in Soho and Shoreditch that you're bound to stumble upon one! Another one of my favourite things to do is to go on a long walk in one of the parks around London. It makes me feel like I'm back in the countryside and generally feels like I've been on a mini break. I'd recommend exploring Richmond Park because it's absolutely huge and if you go to a certain part you can see deer. There are also a bunch of restaurants and bars along to river which are really picturesque. Sometimes when you've lived in a city for a while you can get stuck going to certain places, this doesn't just apply to London, you can get in this rut wherever you live. My boyfriend and I like to pick different areas to explore every now and then and we always discover something new and it makes me love London even more. Beside all of the main museums like the V&A and Natural History Museum there are also some amazing exhibitions to visit. The Saatchi gallery always has really interesting and cool exhibitions, which are sometimes quite odd but definitely worth a visit. As with new bars there are always new restaurants to try in London. I really like trying new pop up eateries as they're always really unique and such a fun experience. I did a post of a list of my favourite places to eat in London so have a look at that if you're visiting London and want some ideas. Great tips! I love finding a rooftop restaurant to have brunch in the sunshine.